Those looking to get the most out of their tech, look no further, Razer has announced Razer Power Bank, which holds up to an additional six hours of charge.For those who are looking for an extra power bank, you won’t have to wait long, as Razer announced the Razer Power Bank will be available in March, exclusively at the Razer Store in U.S.A., Canada, The United Kingdom, Germany, and France priced at $149.99 USD. The Razer Power bank comes with a 12,800mAh battery, USB-C laptop charging, dual USB-A ports, intelligent device detection (which allows the device to immediately identify the type of device that connects to it), Qualcomm Quick Charge 3.0, and fast charge all wrapped in a light aluminium casing. Weighing at 335g, the Razer Power Bank is pretty lightweight, and small enough to fit in the user’s back pocket. Those who own the Razer Blade Stealth that can change your battery life to 15 hours. 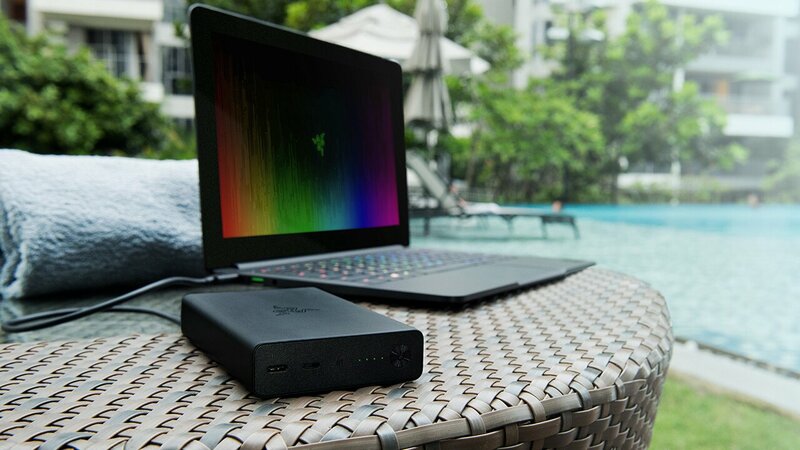 Fortunately, this isn’t restricted just to Razer Products as they company lists the Razer Power Bank works with laptops like the Dell XPS 13 or the Asus Zenbook, as well as other USB-C powered devices. By Catering to gamers, Razer as a company has a user base of over 35 million users worldwide. Their products span from the popular gaming laptop line, Razer Blade, to the eSports platform Razer Arena, to console and PC peripherals.